When you put pure black next to a set of meticulously picked colors, the black overpowers everything else. It stands out because it’s not natural. All of the ‘black’ in everyday objects around you have some amount of light bouncing off of them, which means they aren’t black, they’re dark gray. And that light probably has a tint to it, so they’re not even dark gray, they’re colored-dark gray…. 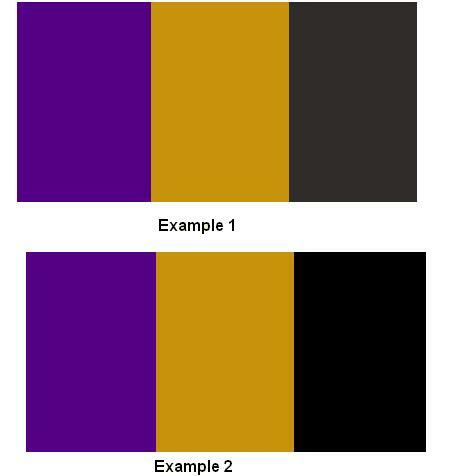 Bottom line is: when you find #000000 in your color picker, ask yourself if you really want pure black. You’re probably better off with something more natural. And if you’re feeling adventurous, try staying away from the left edge of the color picker altogether.